The tile is continued around the window. Nice and clean. Don and Nan had a dream of an updated kitchen. They also needed a facelift on the outside of their house to combat rotting siding and an outdated look. We went to work on the outside first by adding new siding, fixing their drainage issue and adding a great deck and patio. 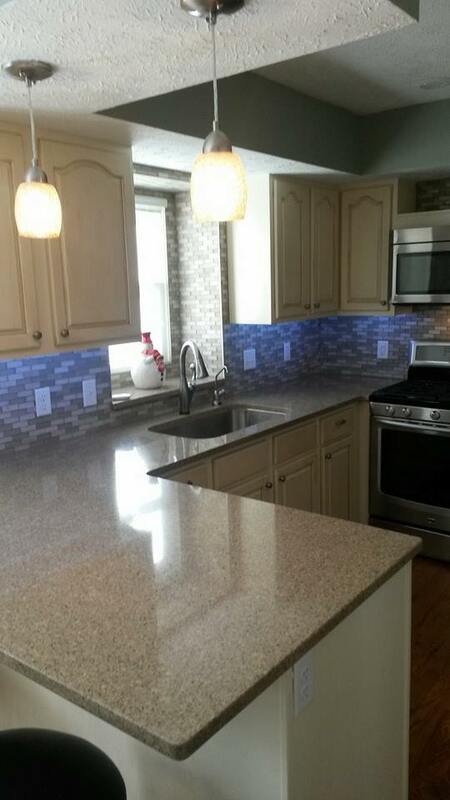 We then moved inside, took apart their kitchen, painted the cabinets and added beautiful quartz countertops. 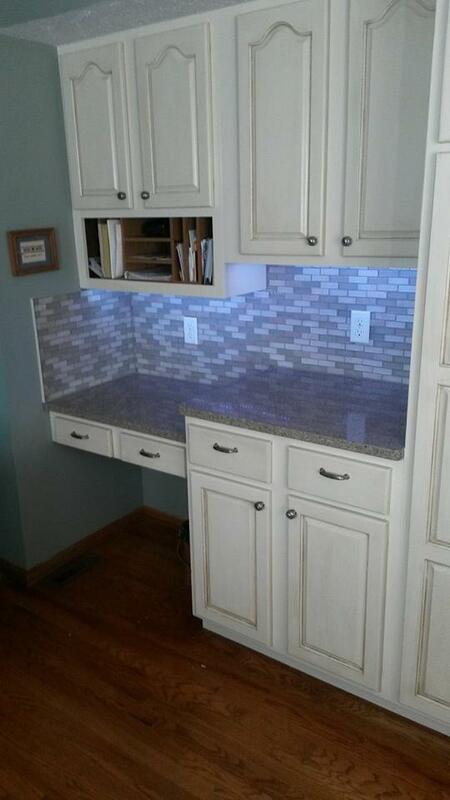 We also installed under cabinet lighting and a backsplash to pull it all together. They are very happy customers and we had a wonderful time working with them. Thanks Don and Nan! !